No matter what brands you prefer using, chances are that you came across influencers. These individuals do their best to promote products they love, and thanks to their charisma and following, they mainly succeed. They effectively “influence” their audience to make a purchase or show up for a public event, or something else entirely. Recent studies show that 70% of millennials make purchases based on recomendations from their role models: this is the effect of using influencers effectively. But how can these individuals help an online e-commerce website with an international audience? Can you effectively optimize influencer marketing for online customers and increase your revenue in doing so? The first step in optimizing your influencer marketing is if you understand what it stands for. In short, influencers are individual content creators and celebrities that have a large following. Their following is oftentimes completely devoted to their role models. They will do many of the things they ask and that includes making purchases of certain products. An influencer that effectively creates a piece of content that promotes a certain product is more than likely to increase that brand’s revenue. Influencers are different from brand advocates that simply promote brands, websites and companies in general. Here are the examples of brand advocates and social influencers. 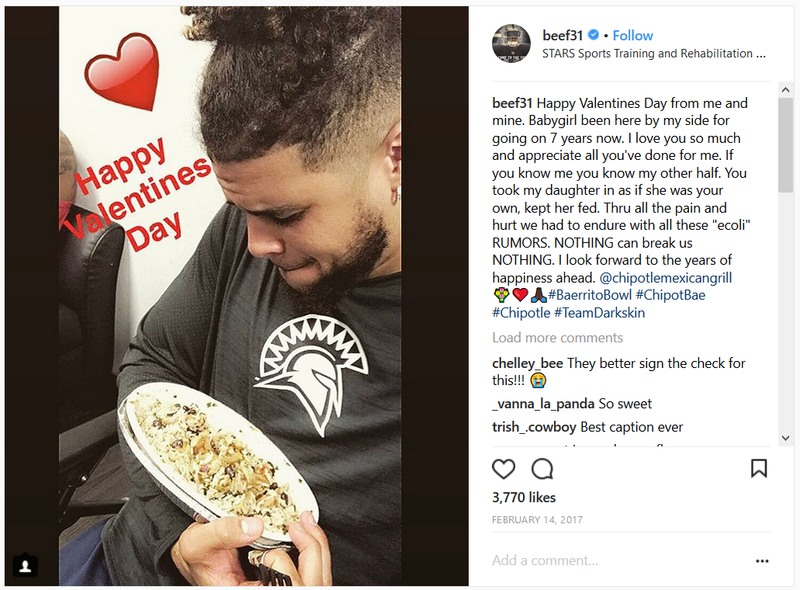 Keith Smith, an American footballer, is a famous admirer of chipotle and stands for them in social media as a brand advocate. 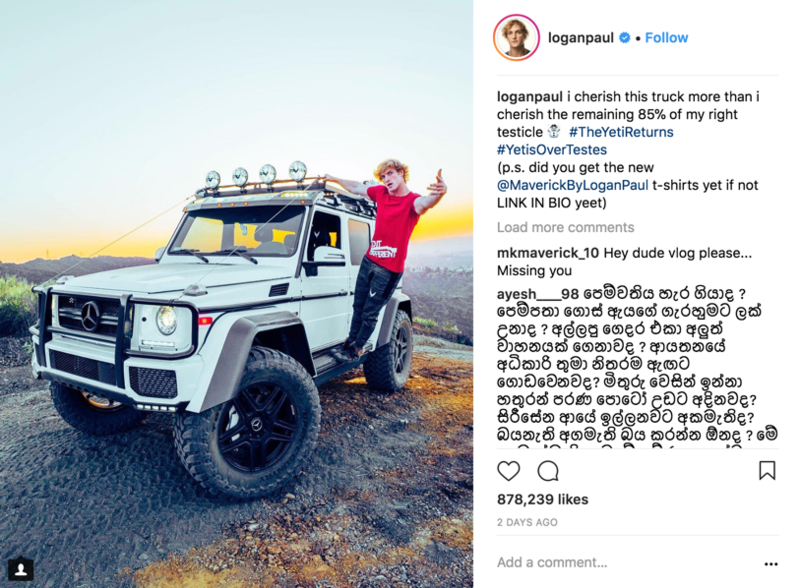 Logan Paul, a now infamous YouTube and Instagram celebrity, promotes Walmart’s “Fight Hunger” social food campaign. Influencers require a certain fee, free products or other incentives in order to promote your products or services to their audience. After all, their reputation is on the line as soon as they start promoting a product that may or may not be of high quality. Think of different ways in which an influencer might be able to promote your specific e-commerce business. What can an individual content creator do to ensure higher traffic and conversion rates for your site if you are merely a sales website without proper PR? It’s fairly easy to find new influencers for your e-commerce site. Anyone that tells you it’s hard to find an influencer hasn’t looked at Facebook or Twitter for potential candidates. The trick to finding good influencers that suit your site’s vision is to look in obvious places. • What are the websites that your customers and employees frequent? • What social platform is the most popular among your audience? According to the stats of Quicksprout, millennials are more prone to use Instagram, whereas baby boomers are keen on Facebook. • Do you post YouTube content and are familiar with people that review/cover sites such as yours? Once you pinpoint which social media sites are rich in influencers, you can start narrowing the field a bit more. Those that cover news and topics in your specific niche should be your top priority and you can start to contact them with your offer. You can also look at business social media such as LinkedIn for potential influencers that are also looking for long-term engagement. While you may be in a desperate need for influencers, don’t be too desperate in doing so. Treat your search for influencers like any other job opening you might have. Set strict rules, obligations and expectations in your contract. Influencers should be hired carefully and patiently. Wrong influencers can lower your traffic, ruin your brand’s reputation and effectively cost more than they earned. PewDiePie, the most massive YouTube influencer, suffers a downfall of his subscriptions due to the controversial behavior, racially and ethnically incorrect jokes. Even with his audience reach, campaigns with his participation may be a severe threat for the brand reputation. By the way, Pepsi already suffered from Kendall Jenner’s ad. Pay close attention to your candidate’s resumes, follow up on their online sites, pages and channels and check their credibility thoroughly. Just because they are influencers and not full-time employees doesn’t mean they are any less valuable to your business. The trick to hiring influencers is that they sometimes come disguised as ordinary people. Studies have shown that non-celebrity influencers often have higher results than their famous counterparts. The reason for this is more complicated than it seems at first glance. Celebrities often see influencer contracts as a pastime – they rarely treat them as serious work. Hiring a non-celebrity influencer with a background in marketing or psychology is sometimes smarter than hiring a local pop singer to promote your business. This barrier can easily be amended by setting clear goals and milestones before you hire anyone. What’s more important, define the possibility of success under your conditions. You will hardly get any results if you are going to advertise an online citation machine or clothing if you have chosen the wrong influencers that do not represent your audience. If a candidate sees what you have planned for them, they will either take the challenge or walk away. Candidates that walk away before getting hired effectively save you a lot of time and money that can be used for the aforementioned non-celebrity influencers. Don’t write someone off just because they might not be famous – they might be a much better salesperson than anyone in your company. Every website has a story behind it. Just because you are an e-commerce business doesn’t mean that you have no substance behind your brand. Sites such as Book Depository or Green Man Gaming don’t have a single original product to their name. However, they have created effective brand stories that their customers are fond of. Whether you use your influencer or sit down with your employees and do it internally doesn’t matter – create a brand story as soon as possible. • What is the motivation behind opening your website? • How long have you been around? • What are your main goals and long-term vision? • What are some of the features you hope to implement in the future? • What is the story behind your name, tagline, logo, etc.? It’s always a good idea to give your influencers the spotlight they deserve. Featuring your influencers on your e-commerce business page will let people know who these individuals are and what they are trying to accomplish. This can give them additional exposure and followers that they would otherwise miss out on. Better yet, it will give your site the necessary traction in terms of live events, streams, reviews, influencer testimonials, etc. Featuring this type of content on your site will differentiate you from the competition and ensure that you can easily promote new products and discounts. A great campaign by Sprint introduced 5 influencers, Prince Royce, Lele Pons, Bradley Martyn, Rachel Cook and Gerard Adams. The campaign was ultimately successful and bashed their main competitor, Verizon. Customers familiar with the influencer that works for you are more likely to follow up on them and see what it is that they promote. This is exactly why you hired these individuals in the first place, so don’t be afraid to dedicate some space on your site to them. Chances are that your first ventures into influencer marketing won’t go smoothly – and that’s ok! The most important thing to consider is that you should always have a channel of communication open with your audience. Getting direct feedback from your customers and influencer as well as their followers is important. E-commerce businesses are long-term projects that require years of work and dedication to fully flourish. Don’t waste the opportunity to get some genuine feedback, comments and suggestions about your website. After all, your sales depend on the satisfaction of customers that make the final purchase. Once you have gathered feedback at the end of an influencer marketing cycle, analyze the data properly. Any useful tips that you might be able to implement should be taken into serious consideration. If you don’t innovate, there is nothing that will stop your competition from taking over your customer base. Avoid it by being the pioneer in your niche and implement something new and bold to your e-commerce business site. If influencer marketing is optimized correctly, it can transform the way you conduct online business from the ground up. Individuals outside your company with large audiences can easily amend for any past mistakes you might have made when marketing is concerned. However, they can also make your brand unsympathetic if you choose the wrong people. Treat your influencers with respect and professionalism – they will give that back five times over.